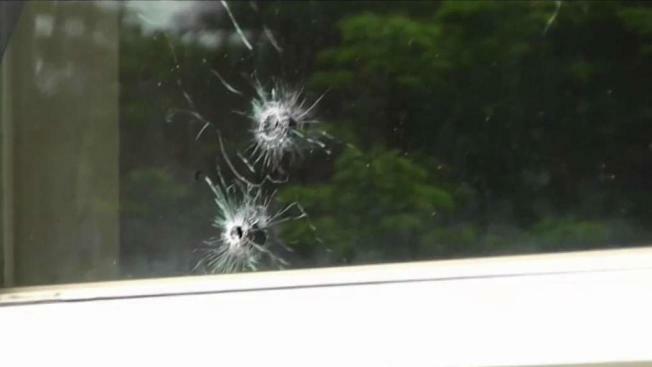 A mother and son in Manchester, New Hampshire are lucky to be alive after bullets went flying into their home overnight. A mother and son in Manchester, New Hampshire are lucky to be alive Thursday after bullets went flying into their home overnight. A neighbor called to report possible gunshots at the 200 block of Central Street at 12:30 a.m. and responding officers observed bullet holes in the in the first-floor apartment's bedroom, where the 12-year-old boy was sleeping. Beatrice Habylimana spoke with NBC10 Boston through a translator about the harrowing experience for her and her son Jacques, saying the shooting was terrifying and that she had no idea why anyone would shoot at the apartment. Habylimana, who says she came to the United States from Africa with her two sons ten years ago, is now looking for another place to live because she doesn't feel safe. Habylimana and her son were not injured in the shooting. “When you have multiple shots fired and no one gets hurt, it’s the best of the outcomes,” said Manchester Police Lt. Brian O’Keefe. Right across from the Central Street apartment, Thomas Barrera was watching TV at his barbershop when he heard the gunshots around 12:30 this morning. “Like firecrackers getting louder and louder,” Barrera said. He and his clients can’t help but think of the worst. “You think about it and that kid could’ve been hurt or dead,” Barrera said. Officers located multiple shell casings outside of the apartment. No arrests have been made. Anybody with information on the shooting is urged to contact Manchester police at 603-668-8711.